OxyContin is a brand name prescription drug that contains the opioid, oxycodone. OxyContin is prescribed with the purpose of treating moderate to severe pain. The medication is effective when used for acute pain caused by injuries or surgeries, and for chronic pain caused by conditions such as arthritis or cancer. OxyContin is an opioid classified as a Schedule II drug by the DEA. Because opioid drugs have a considerably high risk for abuse, and addiction often follows continuous use of these drugs, prescribing OxyContin’s for the treatment of chronic pain is controversial. However, OxyContin was formulated in 1995 as an extended relief version of oxycodone specifically to counteract abuse. Typically, the drug contains far higher doses of the active ingredient than standard oxycodone tablets, but the oxycodone is released very slowly throughout the day. This removes the need for people to take several doses each day. 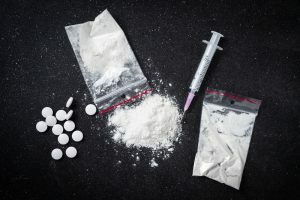 Proponents of the drug say that the extended release properties prevent people from becoming addicted, but opponents argue that the anti-abuse features are easily circumvented. Abusers will crush the tablets and either snort the powder or mix it with water to create an injectable solution. Both methods disable the extended release properties and rapidly emits much larger doses of the active ingredient all at once. OxyContin can have a sedative effect in normal use. Some people will experience this more than others, but everyone should avoid driving or operating machinery when taking the drug. Can OxyContin Abuse Lead to Addiction? Obtaining the drug illegally – doctor shopping, forging prescriptions, stealing pills from others, buying off drug dealers, etc. What Are Effective Programs For OxyContin Addiction Treatment? 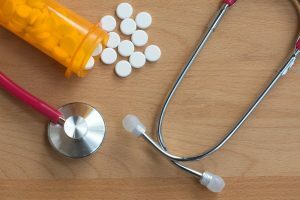 Even though this OxyContin is a prescription medication, overcoming an addiction to it can be just as challenging as recovering from illegal drug addiction. People who try to stop using OxyContin without help from addiction treatment specialists habitually relapse before even completing the process of withdrawal. Symptoms of OxyContin withdrawal can be minimized or avoided by tapering off the drug gradually, but it can be very difficult to manage that process without professional help. Furthermore, preventing relapse is more complex than just working to get through withdrawal. The best option for OxyContin addiction treatment is a residential rehab program, much like the one found at Restore Drug Treatment Center. Residential rehab allows addicts to concentrate fully on breaking free from the grips of drug dependence. Our highly trained team of staff carefully supervise and administer each dose, and they will be able to get people off the drug as quickly as possible, but without the severely unpleasant symptoms of withdrawal. Our residential treatment programs also provide extensive therapy to deal with the psychological side of drug dependence. Most people who seek addiction treatment also struggle with mental and emotional challenges that either originally led them to abuse substances or resulted from long-term use. We incorporate relapse prevention techniques and aftercare maintenance strategies into rehab to prepare clients mentally, physically, and emotionally on how to be successful in life after treatment. These programs instill positive coping mechanisms and help clients build a strong network of support to rely on in recovery. If you are considering your options for OxyContin addiction treatment, Restore Treatment LA can help. We offer individualized, comprehensive treatment plans, which include various therapy and rehabilitation program to fit your life and specific needs. If you are ready to commit treatment and lifelong recovery, then Restore Treatment LA is readily available to help.